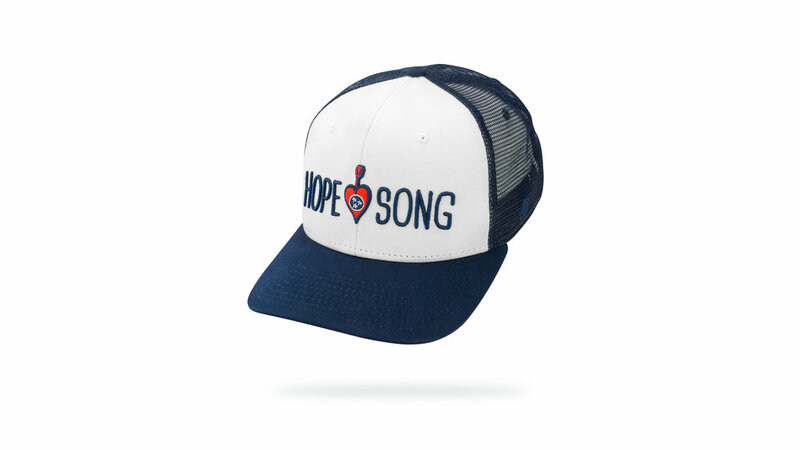 Hope Song Nashville — DOME HEADWEAR CO.
WITH HOPE SONG, JOHN WESLEY SATTERFIELD AND STEVEN TEASTER ARE BRINGING THE HEALING POWERS OF MUSIC TO CANCER PATIENTS IN MEXICO. For John Wesley Satterfield, founder of nonprofit Hope Song, music has always been central to his life. The South Carolina native has been a touring musician for over a decade and made the move to Music City in 2012. In Nashville, he became acquainted with a man named Ed Clay, who runs an integrated cancer treatment center in Mexico, and who liked to have people over often to play music. “I think that experience is very unique to Nashville,” he says of the constant get-togethers-turned-song-sharing-sessions, where everyone present is incredibly talented. He and Ed decided to test an idea to bring this concept to the facility in Mexico, hoping to lift the spirits of the patients battling cancer. John and Steven are currently putting a Hope Song compilation record featuring artists that have taken the trip to CHIPSA Hospital, and continue to bring artists weekly to perform.